Emergency-medical-service (EMS) paramedic units for AtlantiCare Regional Medical Center in Atlantic City, N.J., will be able to leverage the e-Bridge Mobile Telemedicine application from General Device (GD) and Sonim Technologies’ XP8 ultra-rugged smartphones in an effort to save critical treatment time for patients. General Devices CEO Curt Bashford said his company developed e-Bridge several years ago primarily as an application that delivered secure, HIPAA-compliant messages, but reliable connectivity from FirstNet and rugged broadband devices like the Sonim XP8 has allowed the application to support multimedia use. “e-Bridge is a mobile telemedicine app, and it can pass everything from simple secure text-notification messages to multimedia—pictures, video clips, or other data we can pull from cardiac monitors,” Bashford said during an interview with IWCE’s Urgent Communications. “We can do live-streaming video, and we can do concurrent video, so medics can confer with physicians back at the hospital—or if they want to, engage the patient with the physician—they have the ability to do that, as well, all in a HIPAA-secure way to move this information. Such capabilities can be important to the outcome of a patient, particularly one with a health issue that requires timely response and treatment, such a stroke—a focal point for AtlantiCare. This solution was logical step for AtlantiCare, which already used Sonim phones, subscribed to FirstNet and has been a longtime customer of GD’s CAREpoint Workstation to coordinate communications in its emergency department, according to the press release. Although the initial focus of the initiative is stroke treatment, the solution will be expanded to address other acute-care issues, such as heart attacks, trauma, sepsis and opioid incidents. Where medical personnel once were “kind of slaves primarily to voice [communications],” modern communications allow patient information to be shared with hospital staff while the ambulance is in the field or en route, enabling the emergency department to be better prepared, Bashford said. And the use case for the e-Bridge platform is not limited to critical trauma situations, he said. Bob Escalle, Sonim Technologies’ vice president for public-safety market segments, said that the evolution of wireless communications is helping support the telemedicine proposition. 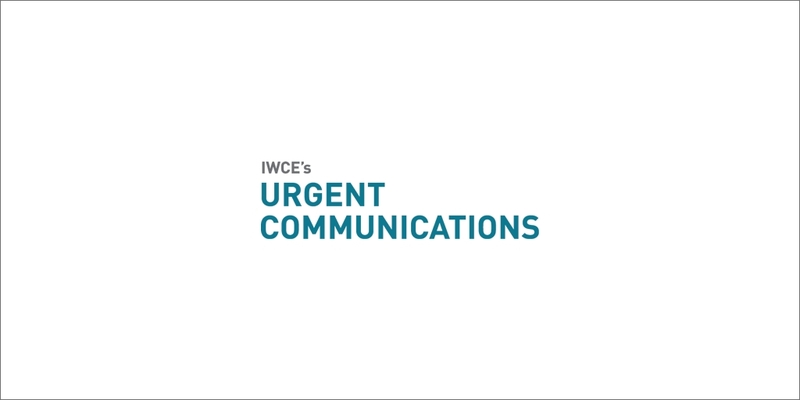 “I think the whole telemedicine piece of it is becoming more and more of a reality,” Escalle said during an interview with IWCE’s Urgent Communications. “As more of these applications [deliver] … HIPAA-compliant information in a secure, encrypted format, I think you’re going to see more and more telemedicine-type applications and capabilities in the streets. FirstNet, with that priority and preemption is a key element there, to have that information across that network. In addition to the network improvements, the evolution of capabilities within devices has made it practical for applications like e-Bridge to expand their scope significantly—something Sonim has experienced as its product line has evolved to the XP8, Escalle said. Bashford agreed, noting that better devices and improved connectivity options have made once-theoretical applications practical in real-world scenarios.